IT’S GROW TIME and never too early to start your Spring garden. 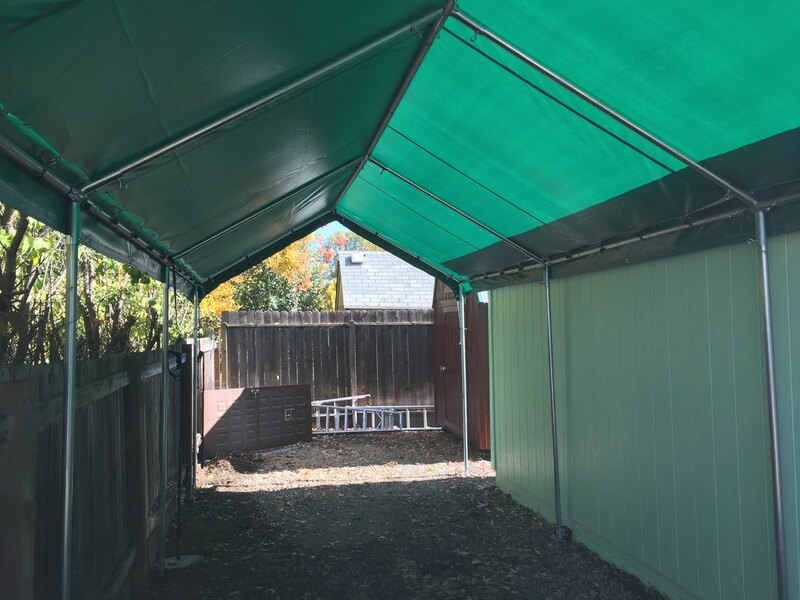 Have a carport frame? We have greenhouse covers to convert your frame from bare bones to a complete plant haven. It’s so simple. Attach tarps using our handy dandy ball bungees. No tools required. Want to build your own, we sell clear 6 mil 2 year reinforced greenhouse plastic by Americover starting at 175.00 for a 20×100 roll. Call for shipping 541-951-2861. 40×100 and 60×100 rolls also available. We have clips, snap clamps too 1-17/8 inch easy on, easy off clamps make installation a breeze. Need fittings? We have those too! 1 3/8, 1 5/8 and 1 7/8 high peak, flat, corner and more galvanized steel fittings. Don’t get left behind, get ready, plant and grow. We can help, call us at 541-951-2861 for pricing and shipping. We carry many items in our store that are not listed on our website. Visit us today! 1349 Redwood Ave, Grants Pass. Made in the USA by hand and individually inspected for quality, these stretchy cords are strong and durable. 14″ and 18″ inch looped bungee cord with thick plastic hooks stretch and hold items. 14″ cords have two loops to adjust for height and 18″ cords have three. 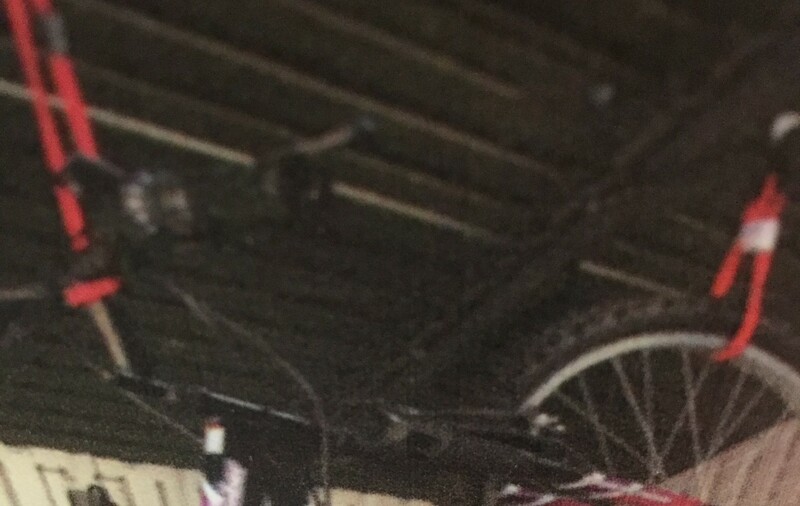 These cords are strong enough to hold a bike. Use for garden tools. extension cords, hoses, toys, ladders, rope, wire. The uses are endless. Hook and Hangs help get our stuff off the shop floor. Hang things on walls, rafters and racks by hooking them in place. Super simple, super fast. 3 pack with one long and two short cords is only 15.00. These are made right here in Southern Oregon. Get yours today. When you go to clean your shop, garage or shed, remember, HOOK AND HANGS ORGANIZE YOUR SPACE. Anchor your carport frame. Carport frames become kites if they are not anchored properly. Our new anchors do the job. 12″ powder coated steel twist anchors stay put. Use the anchor tool to screw them into the ground or sink them in cement for permanent anchoring. Use our custom US made straps to hook into the anchor. This system allows you to move your frame as needed and have a temporary or permanent anchoring system. We recommend one for every leg pole. 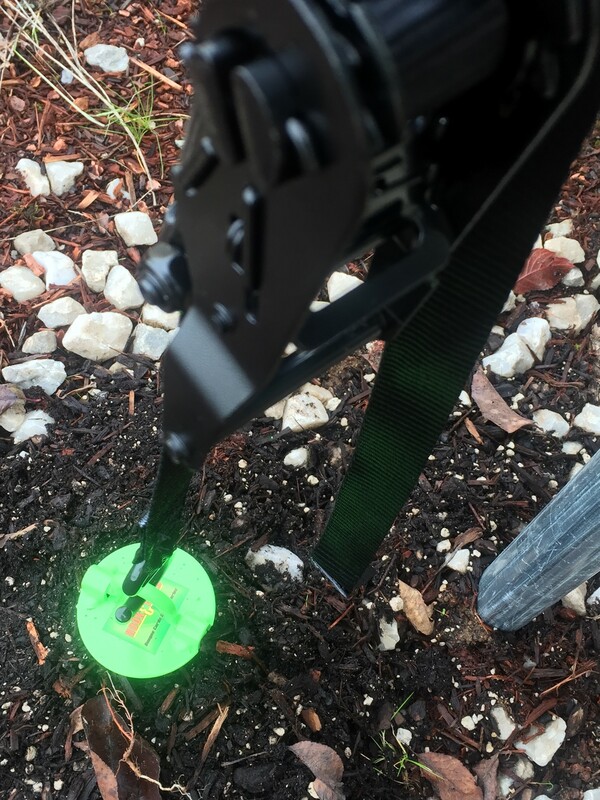 Anchors can be installed outside, inside or in between leg poles. Our custom straps hold up to 750 lbs and have 4400 lb load hooks. Simply loop the strap around the should of each leg fitting. Place hook in anchor loop and gently ratchet until strap is snug. Have questions? Call us at 541-951-2861. Black Friday Sale and Deals. Come visit our retail shop in Grants Pass on November 24 and 25 and experience our great deals. Locally made gifts galore. Poly and vinyl tarps. Carport frames. 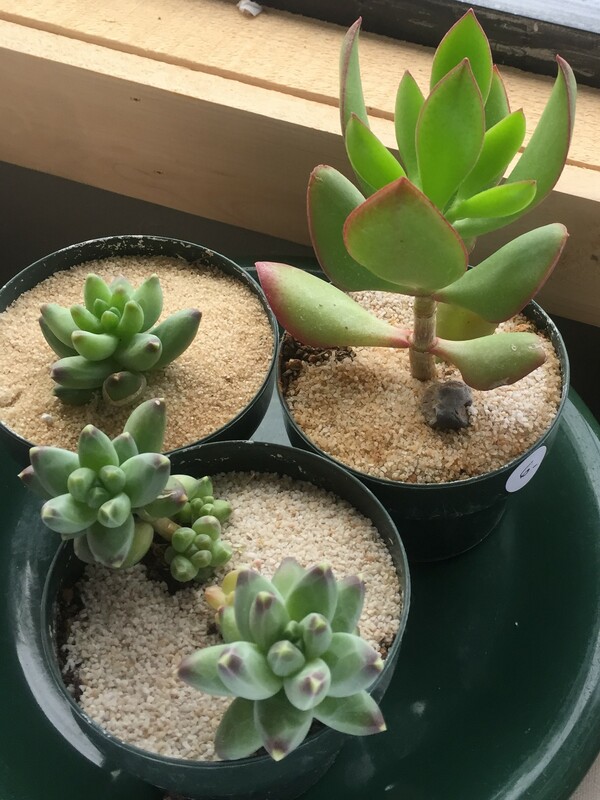 Succulents and glass planters. 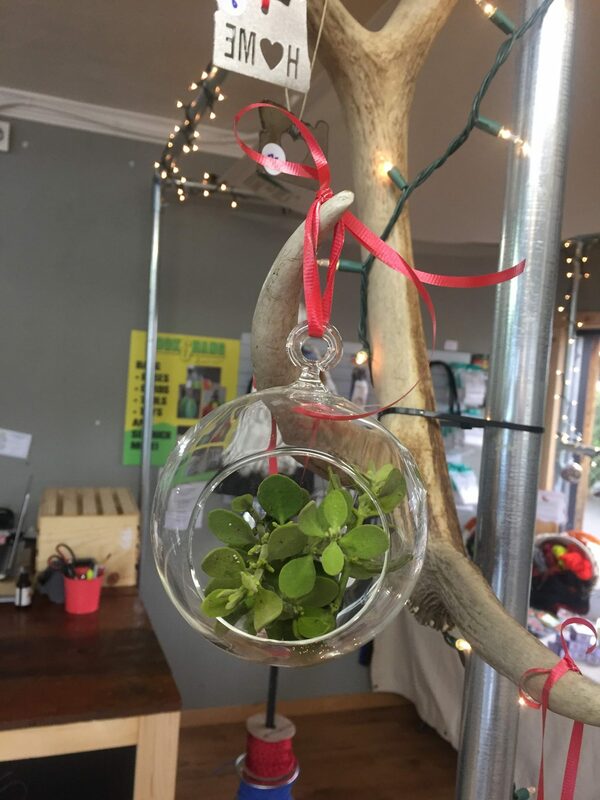 Mistletoe balls and metal work. Gloves and locally made soap. OTC hats and shirts. Bungee cords, straps and cargo nets. Boat and dock ties. Carport anchors and straps. Don’t wait, great gifts and stocking stuffers for everyone. Nestled between Redwood Nursery and Salvation Army on Redwood Ave. in Grants Pass. Where do your toys live? Even our toys need a safe place to sleep and rest when not being used. Don’t lose value by leaving your expensive toys out in the sun and rain. Keep them dry and shaded with our heavy duty, galvanized steel carports and covers. Sun damage leads to paint fade, chipping and peeling. Extreme heat may cause bubbling. Nobody wants that. Rain water can eat away at rubber, caulking, canvas and cause rust. 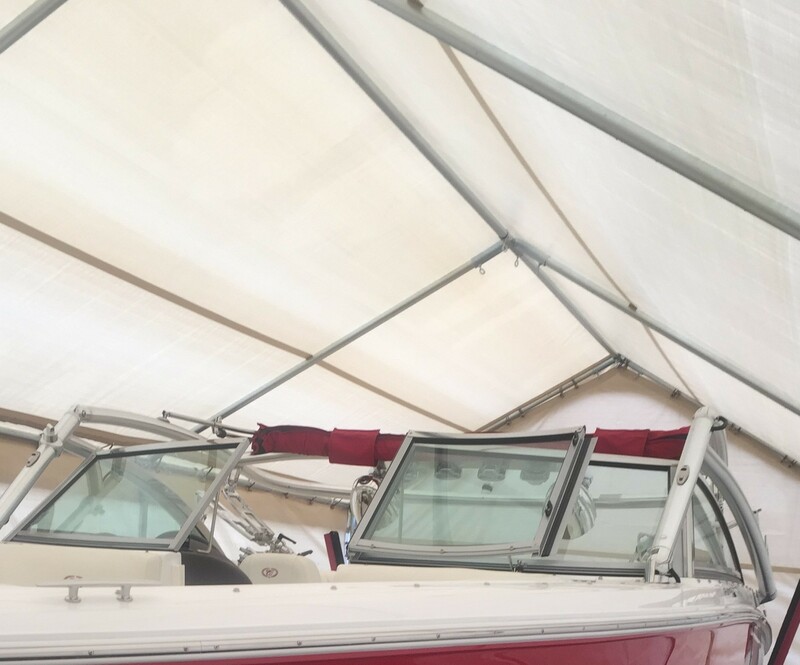 Protect your assets by covering your investements at Costless Tarps. We’ve got you covered rain or shine. 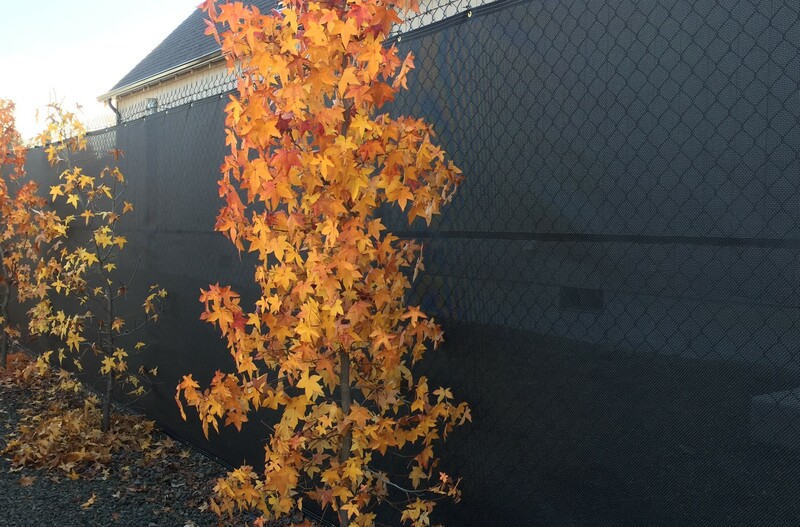 Heavy duty screen mesh made to fit your fences and structures. Or shop our large selection of pre-made sizes. On sale now 8’x50′ green mesh rolls 125 each, regularly 140.00. Are you tired of plastic? Bags, containers, dishes, toys, phones, bottles, wrap, film, cars,tarps. you name it, it’s plastic. Try vinyl, it’s thick, heavy duty, pliable, foldable, durable and outlasts plastic by years. Our new vinyl tarps come in standard sizes in 13 and 18 ounce weights. Or, we make custom sizes. 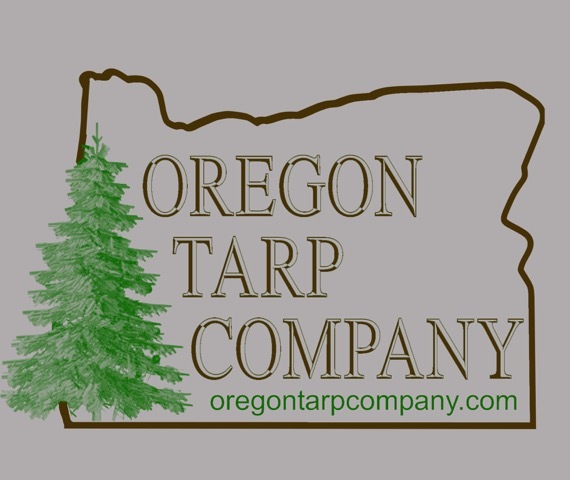 Come feel the difference at Oregon Tarp Company. Our heavy duty storage frames keep your investments covered rain or shine. Buy a kit to make your own anywhere in the US or purchase the full frame in Southern Oregon. See our frame kits under frame kits on our home page. Our heavy duty 1 5/8 inch galvanized steel fitings create a high peak frame. Are you local? come in and see what we can build you or you can build it yourself. Our fittings come in 1 5/8″ or 1 7/8″. They can be used for building multiple structures. We also carry slip fittings, T and Cross fittings. Come see what we’ve got. Tired of paying storage fees? Get a 10×20 storage frame with a poly cover kit for 500.00. Assembles in 30-60 minutes without tools. Store your car, boat, boxes, equipment, feed or animals. Endless uses, affordable and easy to assemble frames come in a variety of sizes and cover options. Turn your carport into a greenhouse this Winter. 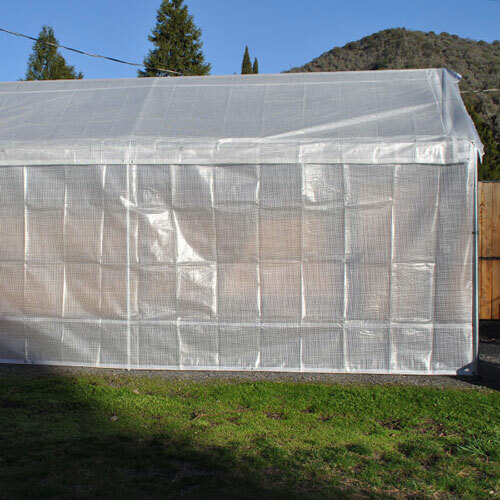 Cover tender plants with clear tarps for frost protection. Need scrim, we have it by the roll. Need a greenhouse? We have them ready to go in the box. Or, build your own, we have the parts. Protect your plants or start to grow. Either way, we’ve got what you need for a productive Winter season. Don’t see it on our website? Call us. We ship rolls of greenhouse film and black out fabric. Are you local? Live near Grants Pass? Don’t pay shipping. Visit our freindly store. We have something for everyone. Tarps, frames, bungees, hooks, straps, greenhouse scrim, black out rolls, succulents, glass globes, vinyl, fittings and feet. Come touch our stuff. It’s heavy duty and made to last! We are conveniently located off Hwy 5 just past the fairgrounds. Join us on Facebook and receive awesome coupons and sale alerts. Don’t see it on our website? We might have it, call us. 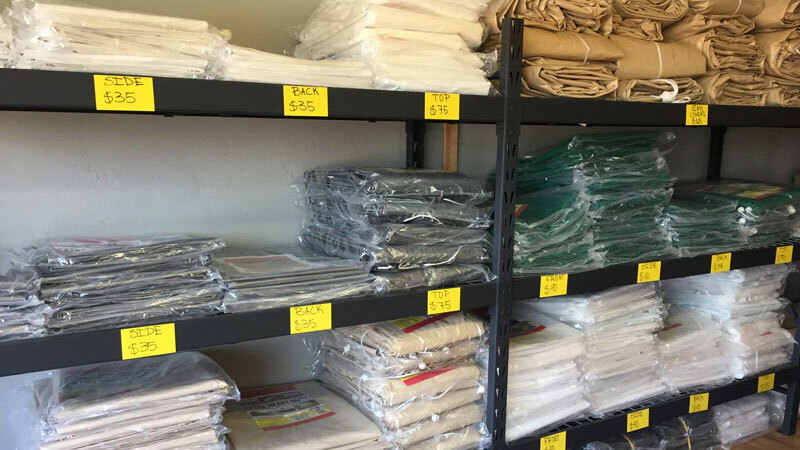 Spend $100 in our Grants Pass store and get a US made 5’x7′ cotton canvas logo tarp. These logo custom made tarps with brass grommets have multiple uses and are made to last. Keep your canvas tarp in your car for protecting clothes while sitting outside, use to keep dust off furniture, great for moving, covering floors, leaf collection, drop cloth, laundry bag, camping, quick shade cover. This $30 tarp can be used for nearly anything. 100% cotton and washable.